Castle Comfort Stairlifts offers top brand stairlifts, keen prices and fast installs for all those seeking stairlifts in Essex And all work comes with our no-quibble guarantees and famous customer service satisfaction. Give us a call today on 01376 396015. If however, you are looking for fascinating facts about the area then feel free to read on. Do we have any Chelmsfordians in the house? Are you an Essex county resident and are you searching for a chairlift? If you are, then Castle Comfort Stairlifts are the people to call! 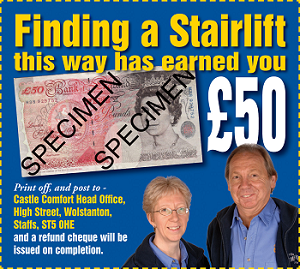 Our professional team has a wealth of knowledge about stairlifts from the make, the type to their suitability. We are the UK agents for all manufacturers so are in a perfect position to offer advice. Take a look at our founder Keith’s video and then give Castle Comfort Stairlift’s office a call on 01376 396015 for more information. Now pull up a seat and see what Chelmsford has to offer. First of all welcome to this County Town of Essex where its residents are known as Chelmsfordians! Chelmsford is firmly in what is known as the London Commuter Belt, essentially any easily commutable areas surrounding London; as Chelmsford is a mere 32 miles from Charing Cross it is little wonder that it falls into this category or that many residents commute into the city for work. Colchester is another Essex town that is also 32 miles from Chelmsford in a north-easterly direction and just 17 miles south we find Southend-on-Sea. You could say that Chelmsford is right in the heart of Essex! There is evidence that Chelmsford has been here since the Neolithic and late Bronze Age eras; it was certainly a part of Roman Britain as was much of Essex as it was virtually the first county that foreign invaders came across. Interesting archaeological sites have been discovered below parts of Chelmsford. For instance there are the remains of a Roman mansion beneath the suburb of Moulsham; this is a combination of a post office, civic centre and a hotel. And beneath the Odeon roundabout , there are the ruins of an octagonal temple. Broomfield to the north of Chelmsford hides another gem - an Anglo-Saxon burial ground discovered in the 19th century and with all 'finds' now housed in the British Museum; many victims of the 'Witchfinder General' aka Matthew Hopkins spent their last days in Chelmsford before their fate of trial and hanging. Richard II came to Chelmsford after quelling the Peasants Revolt; and another King - Henry VIII bought the Boleyn Estate and built Beaulieu Palace there – which is now New Hall School. Beaulieu Palace was the home of his second wife Ann Boleyn and later of his daughter Mary 1, daughter of his first wife Katharine of Aragon. 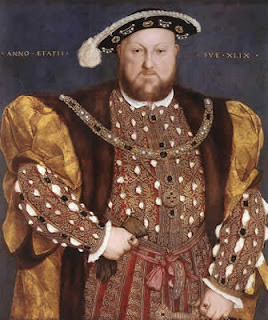 Interestingly historian David Starkey recently reported that Henry VIII is probably the inventor of the stairlift. As we all know this famous royal became very obese – not surprising if you consider the thirty course meals he indulged in. His 52 inch waist probably had something to do with immobility. His servants created a huge chair which they used to haul him around using a form of block and tackle. The invention took several servants to move with the 30 stone Henry enthroned on it. If you want to see a modern stairlift for an obese person and rated up to 30 stone take a look at the video. Fit for a king, or queen. Thank goodness things have moved on! 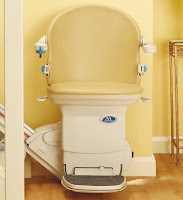 Now all the stairlifts that Castle Comfort supplies are electrically motorised so that all you have to do is get on board to be transported up and down those stairs. If you’d like to know more please take a look at our website and contact us. The number of your local office is 01376 396015. A Scottish King, Robert of Scotland aka Robert the Bruce is known to have had close ties with the nearby village of Writtle. Topically Harry Judd of pop band McFly hails from Chelmsford; he is currently a contestant in this season’s Strictly Come Dancing and doing very well! from Chelmsford as is  Guthrie Govan a notable jazz, rock and blues guitarist. You can’t mention Chelmsford without remembering it is the birthplace of the somewhat quirky ceramicist Grayson Perry known for his cross dressing as much as his art. Chelmsford seems to be rife with footballers too. Professional footballers Liam Chilvers who’s played for Arsenal, Colchester United, Preston North End and Notts County, Greg Halford who plays for Portsmouth, Geoff Hurst of the 1966 England squad who also played for West Ham, Stoke City –and West Bromwich Albion  in his time; James Harper currently with Hull City; Peter Collins who played for Chelmsford City and Tottenham Hotspurs and Nigel Spink who played for England and started his football career with Chelmsford City. Don’t forget you can use the £50 voucher too. Good luck Chelmsford at Wembley - but you are meeeting our mighty Crewe Alexandra from Cheshire near our stairlifts head office!